Star filly Sunlight has claimed a third Group One win in the William Reid Stakes at The Valley. Sunlight has erased the memories of her previous visit to The Valley with a breathtaking victory in the Group One William Reid Stakes. The only time Sunlight has finished out of the placings was in the Group One Manikato Stakes at The Valley last October when she was slow into stride. On Friday night Sunlight was the first to begin and Luke Currie let the filly to slide forward and take the lead at the 800m turn. It allowed Currie to give the filly a breather before releasing the brakes turning for home where she raced clear to win from Sydney visitor Spright by three-quarters of a length with Ellicazoom in third place. The victory was her third at the highest level, coming on top of wins in the Coolmore Stud Stakes and Newmarket up the straight at Flemington. 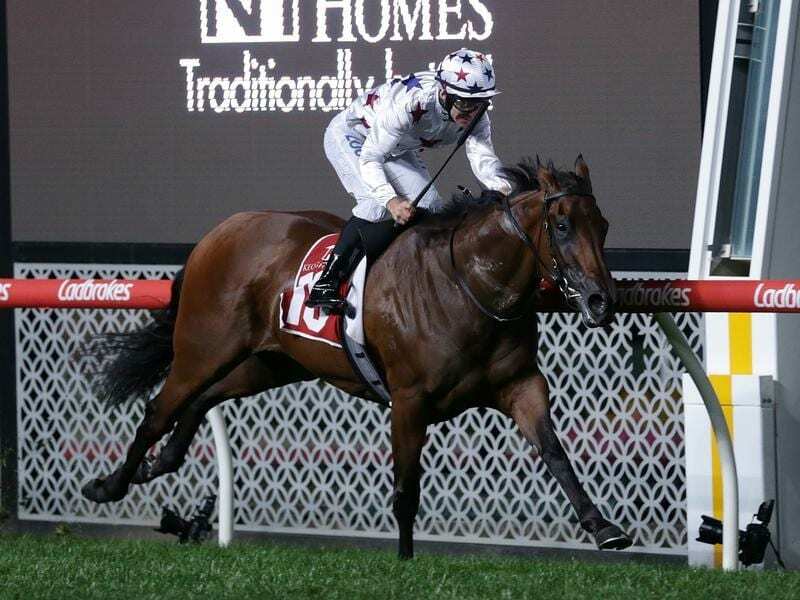 “I’m in awe of her, what a star,” trainer Tony McEvoy told broadcaster racing.com. Currie was also full of praise for the filly and what she has achieved. Besides her three Group One victories, Sunlight won the Magic Millions 2YO Classic before finishing third in last year’s Golden Slipper. “She must have read the paper and known she’d drawn the outside,” Currie said. Weather permitting, Sunlight will head to Sydney for the Group One TJ Smith at Randwick on the opening day of The Championships. Jockey Ben Melham was transported to hospital with a suspected broken wrist after being dislodged from Voodoo Lad in the straight.